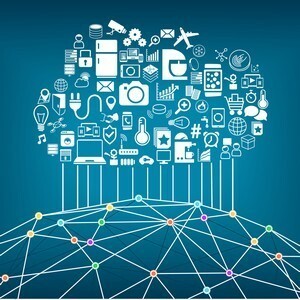 It is estimated that 30 billion Intelligence of Things (IoT) devices will be connected worldwide by the year 2020 and that number will grow to 100 billion by 2025. The Internet of Things, also known as “IoT”, is a network of devices – game consoles, activity trackers, smartwatches, voice-controlled assistants, thermostats, and virtual reality headsets – and the list continues to grow. More Data, More Opportunity: As large volumes of data flow in from data centers, production systems, sensors and IoT systems, this real-time information helps companies gain increased insight into the productivity and performance of their systems and processes, offering opportunities for innovation and growth. New Ways to Understand the Customer: IoT is also paving the way for opportunities to employ computer vision – via cameras and other visual sensors – to gain greater insight into customer behavior and requirements, as well as critical aspects of a company’s operations. For example, Walmart has designed a shopping cart with handlebar sensors that can alert staff when a customer seems distressed, capture data about a customer’s movements like time spent idling and speed, as well as emotions like grip strength, palm sweat, and temperature reading. This data may help retailers better understand and anticipate customer behavior which could in turn improve selling techniques. Creating New Business Lines: IoT is giving businesses an opportunity to not only sell a new product, but also to offer ongoing services to monitor the performance of these products thanks to algorithms that provide routine maintenance as required. This IoT data can also be implemented across a business to boost value-added services and ongoing customer engagement. Improving the Customer Experience: IoT collects data from customer touchpoints and how they interact with products or services. This new view provides companies with a holistic picture of customer experience and satisfaction not possible before IoT. Companies like Amazon Go and Zippin, both offer an automated checkout system by using cameras and sensors to track customers in-store. The sensors automatically track and ring up purchases for customers – providing a checkout-free shopping experience. According to pymnts.com, Zippin CEO, Krishna Motukuri, said that these “setups can fill in retailers’ knowledge gaps, deter shoplifting and enable real-time inventory management”. Greater Efficiency: IoT can deliver greater efficiency and flexibility for businesses. The expansion of IoT across various parts of the organization and its ecosystems means greater digitization of processes, which helps reduce costs and increase speed to market. For instance, NXT Semiconductors, a Dutch global semiconductor manufacturer, recently announced that its newest NFC (near-field communication) chips can be applied to products as an authentication measure to differentiate them from counterfeit ones. The chips will also provide tracking throughout the supply chain to help battle grey market sales. The Internet of Things is a major driver of business transformation as it brings together data and intelligence to deliver new ideas and ways of doing business.